Runners and riders: who would join Sadiq Khan in City Hall? 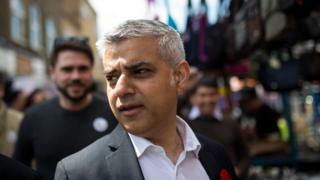 If many Londoners knew little about Sadiq Khan until this contest, it is likely they will know even less about the team that will help him govern at City Hall if he wins. Every mayor has the right to appoint two political advisers and up to 10 other staff, giving them a chance to surround themselves with trusted lieutenants and a chance to hit the ground running. So who might form Sadiq Khan's team to help him carry through on his campaign promises? It's likely the man who ran his campaign, David Bellamy, will continue as Khan's right-hand man as his chief of staff. And helping to deliver on the big issue of the election - housing - it's likely Mr Khan will stick with James Murray, an Islington councillor who advised the campaign on housing and stood in at debates for Mr Khan. There may also be a return to City Hall for Neale Coleman, an advisor to both Ken Livingstone and Boris Johnson. Heavily involved in delivery the Olympics and its legacy, he briefly worked as head of policy for Jeremy Corbyn. Seen as capable and pragmatic, he's likely to have a role in settling Team Khan into the eight-floor offices. Another name being touted is that of Andrew Adonis - a former cabinet minister and currently the head of the National Infrastructure Commission. With big projects like Crossrail 2 and HS2 coming down the track, his expertise could prove key, but it may require him to walk away from the national job. If he's looking for a deputy mayor for policing, the smart money seems to be on current Assembly member Joanne McCartney, a trained barrister and Labour member for Enfield and Haringey, who has chaired the assembly's Police and Crime Committee. Fiona Twycross, who has worked on the Fire Authority, may also be rewarded. Former Bethnal Green MP Oona King, who backed Mr Khan when he first announced he was running, may enter City Hall in a communities role. Expect roles too for policy director Nick Bowes - widely seen as the ideas person behind the new mayor's campaign - and Leah Kreitzman and Jack Stenner, who have been key members of team Khan since he became Labour's candidate. Ex-journalist Patrick Hennessy, who ran communications for Mr Khan during the election campaign, is likely to continue selling the message.